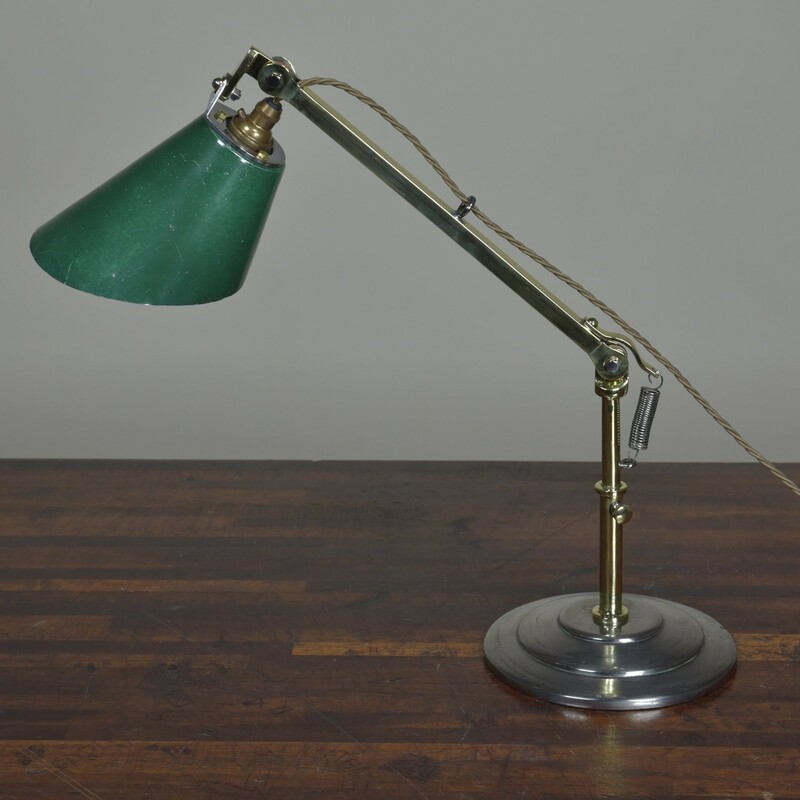 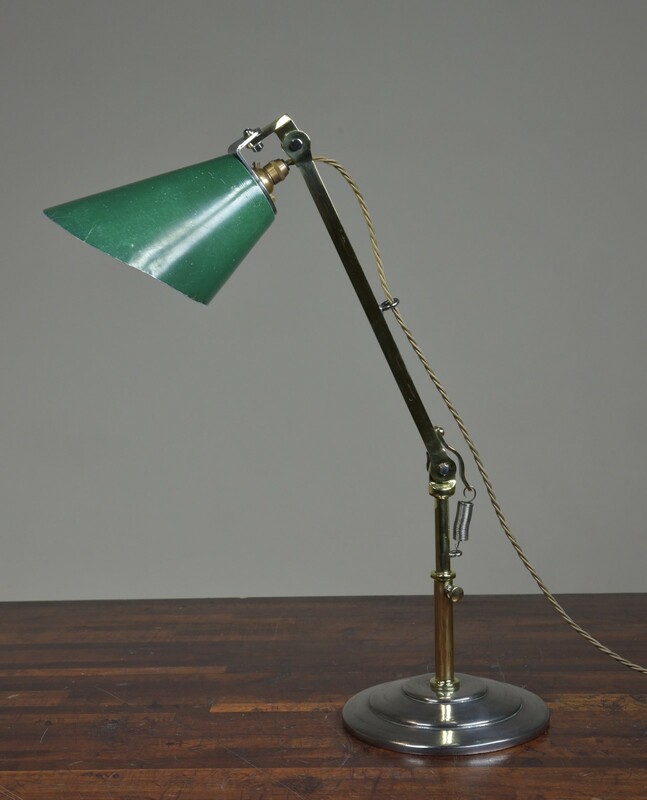 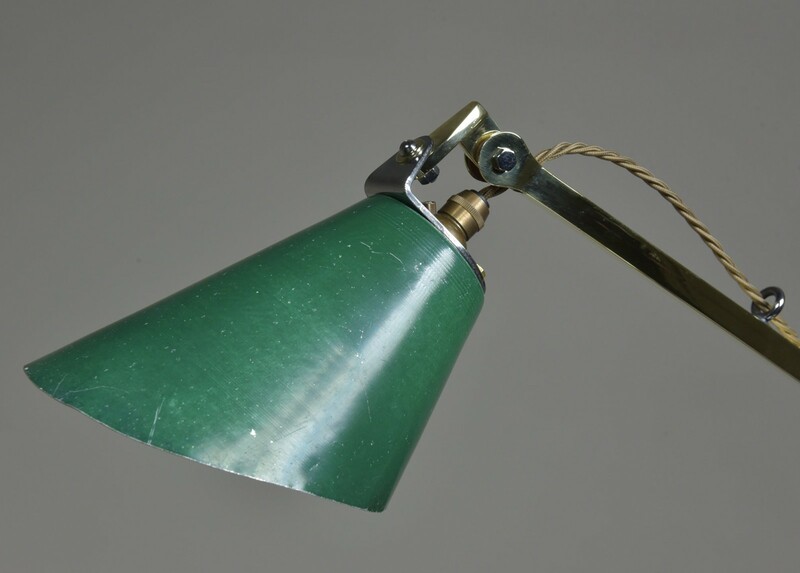 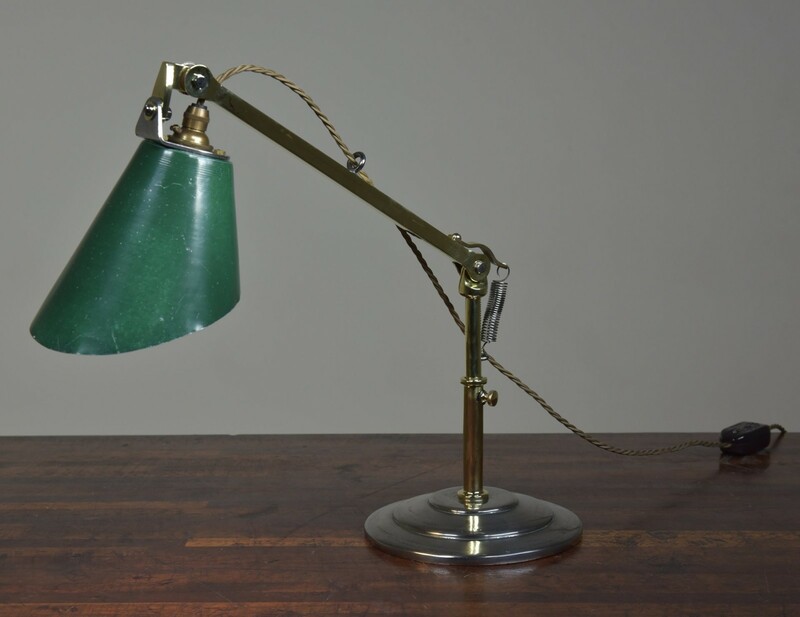 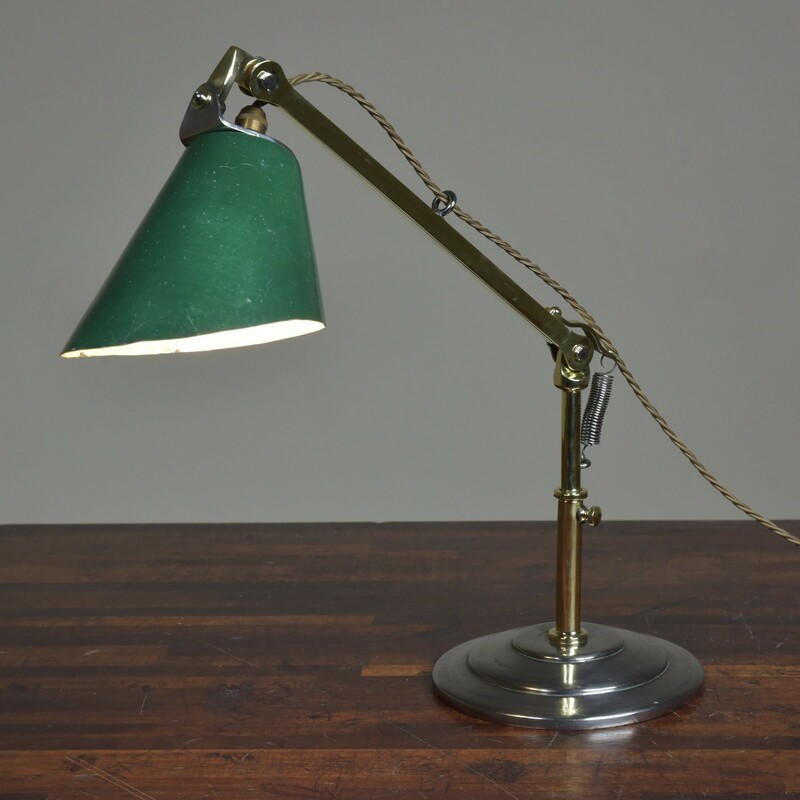 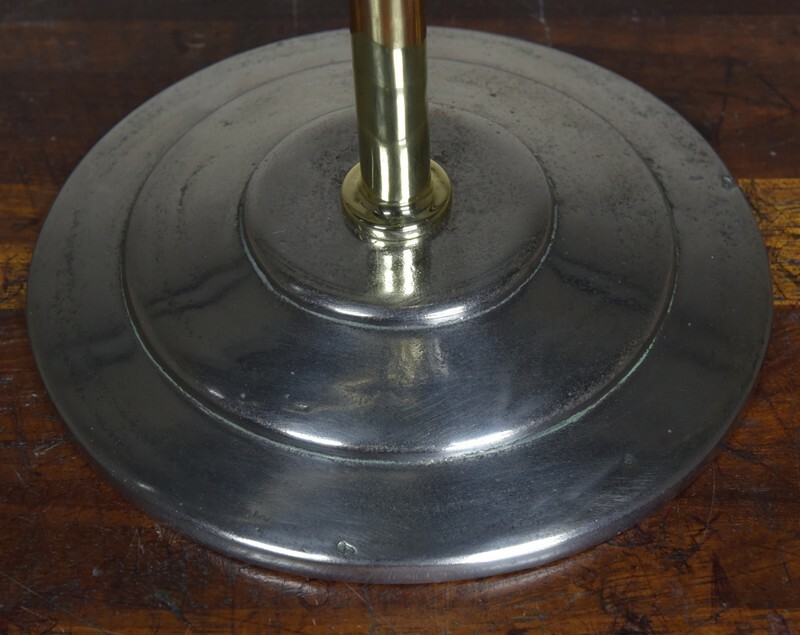 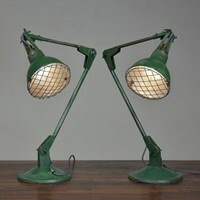 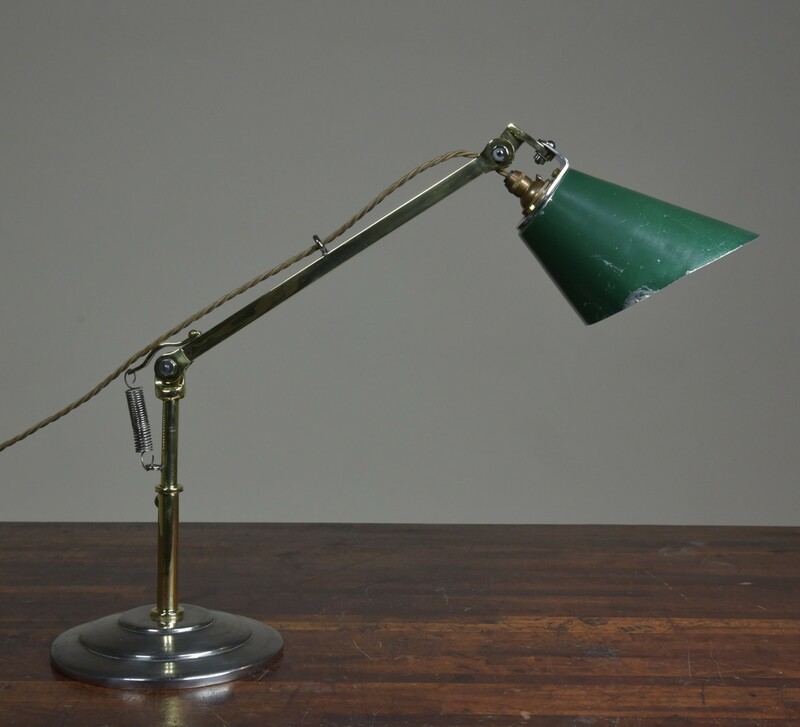 An unusual antique 1920s industrial table / desk / work lamp with original spun aluminium shade, brass arms and fittings and circular steeped cast iron base. 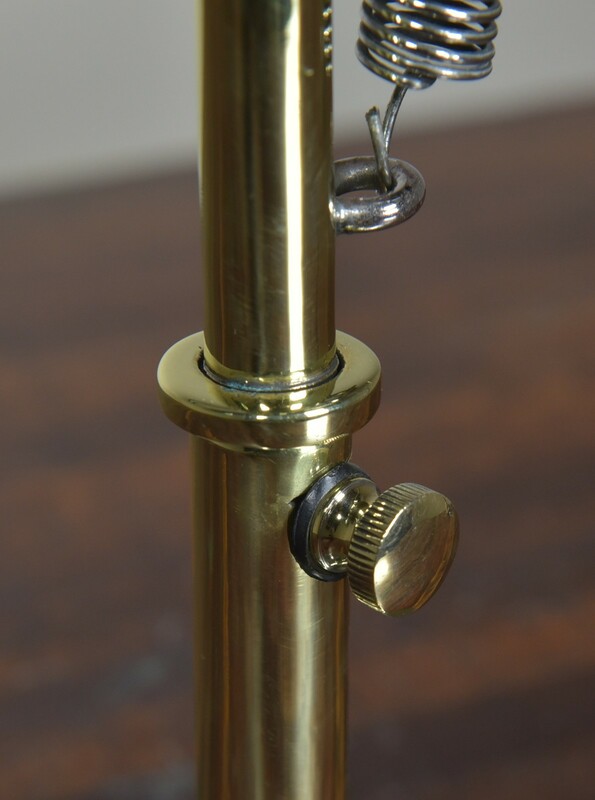 Disassembled, cleaned and polished. 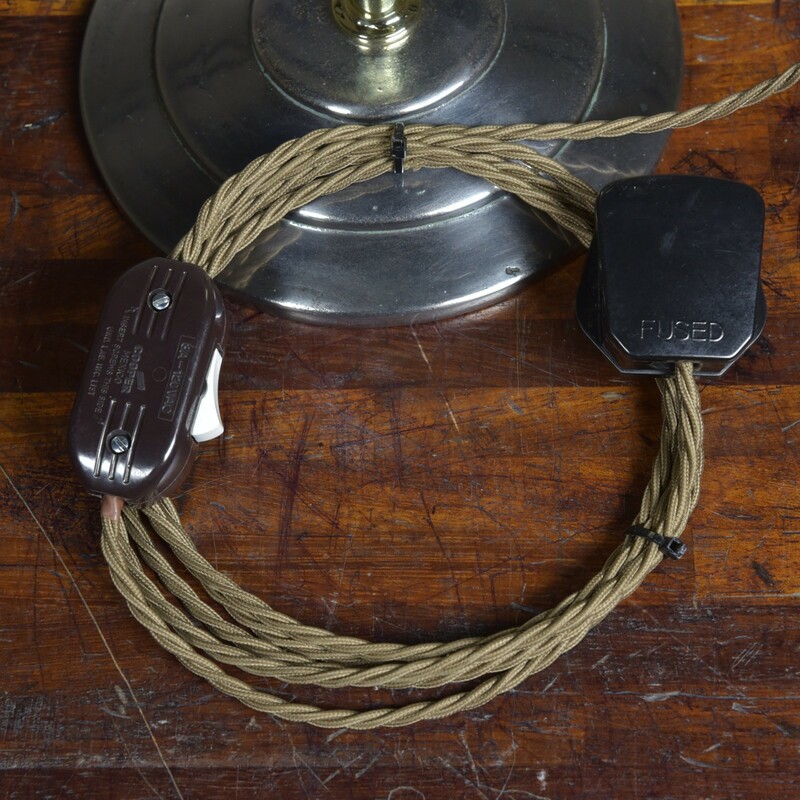 Rewired with 3 meters fabric flex, a new brass cordgripped lampholder , a quality inline switch and a traditional style hard plastic plug. 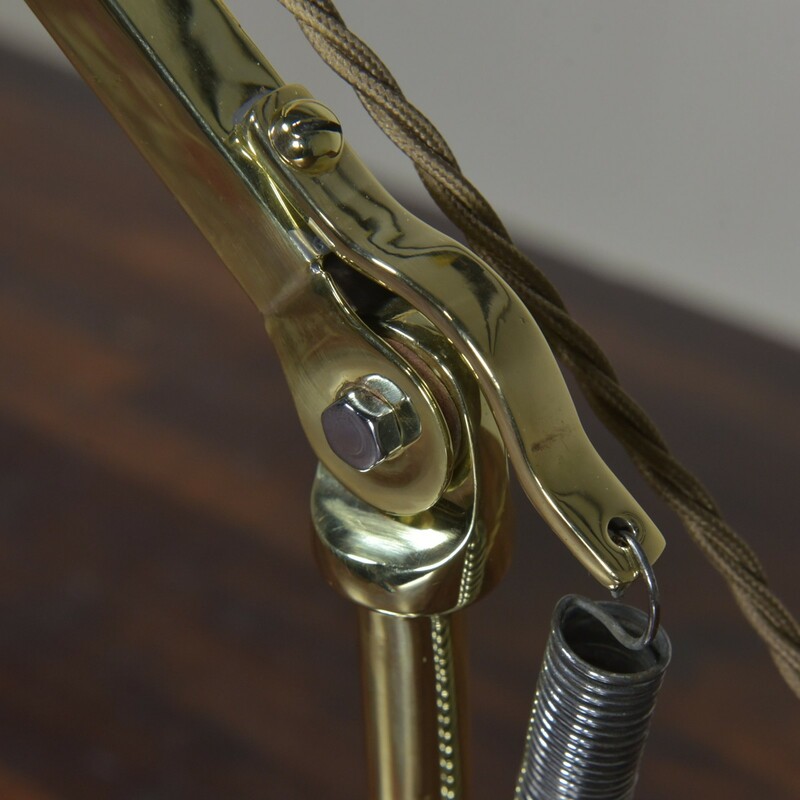 The shade adjusts in two planes, the main arm adjusts up and down and a spring attached to the stem helps hold it in place, the upper stem rotates and is secured by a knurled knob.